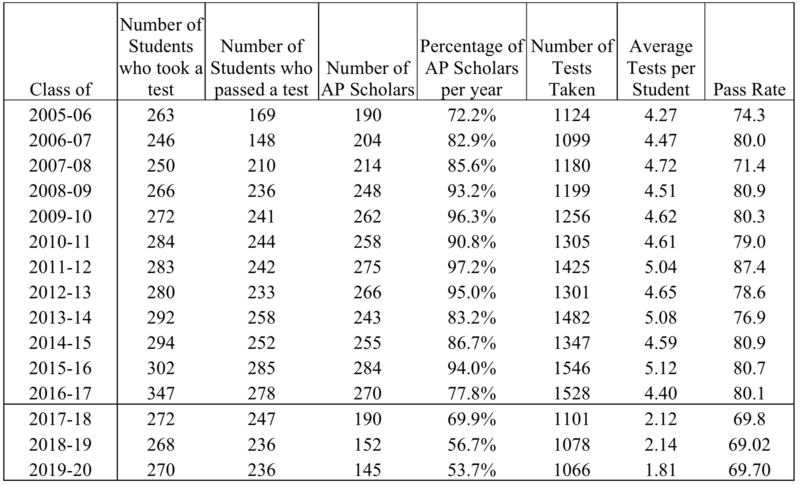 SI has a large and successful AP program. We offer AP courses in 14 subjects and several of our students pass the AP tests in subjects for which we do not offer the course, including English Language, Physics B, World History, European History and Music Theory. SI administers more AP tests than any Jesuit school in the country and has been ranked in the top 20 programs nationally by The CollegeBoard. The acceptable minimum is 60%; the goal is 65%. Acceptable minimum number of tests administered is 1150; the goal is 1200. 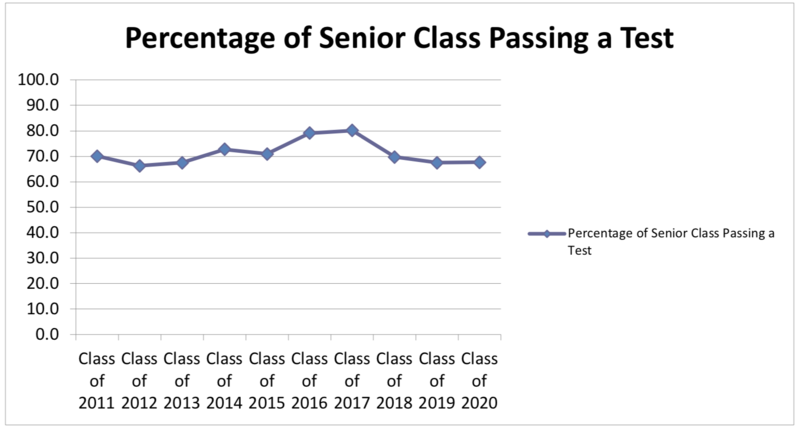 SI looks at the AP performance of each graduating class over their four years. 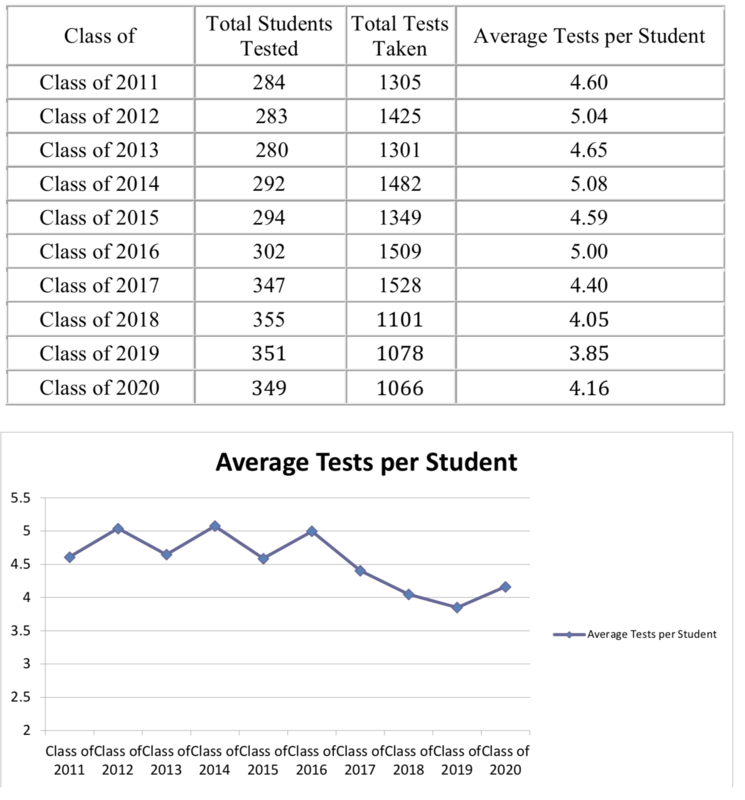 The Average Number of Tests taken by each class is a measure of the academic rigor of the school. It is comparable to the Challenge Index used by Newsweek to name the top 100 public high schools. 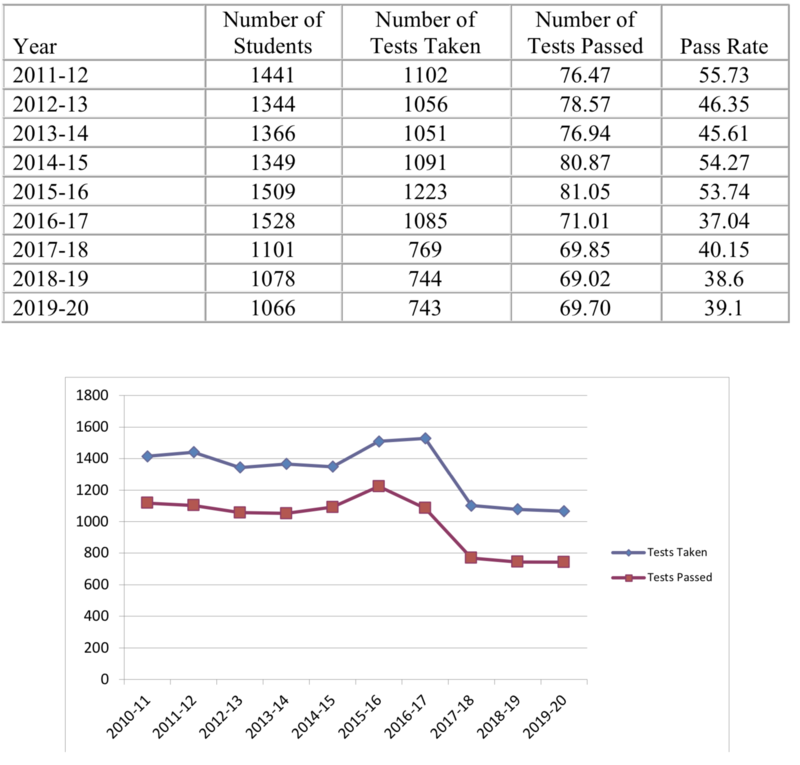 SI has shown a marked and steady increase in this area over the past 17 years, tripling the average number of tests while maintaining an excellent pass rate. 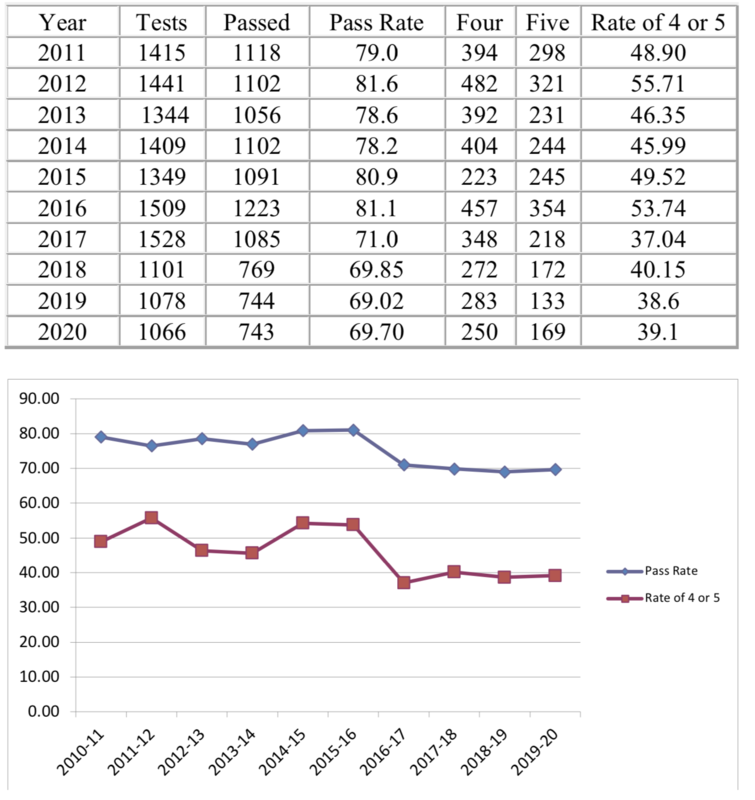 Another set of measures of rigor would be the pass rates and rates of 4s and 5s in a given year (as opposed to for a given graduating class). 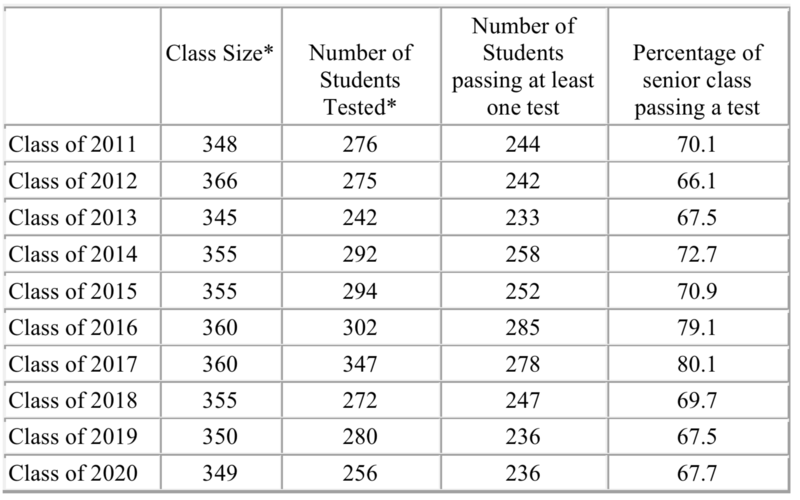 These data are easier to obtain than similar per-class numbers because many AP courses have students from different grade levels enrolled. The acceptable minimum is 180; the goal is 200.